“I remember how it ends / We survive,” crooned Devon Welsh at the close of his previous band’s final album. 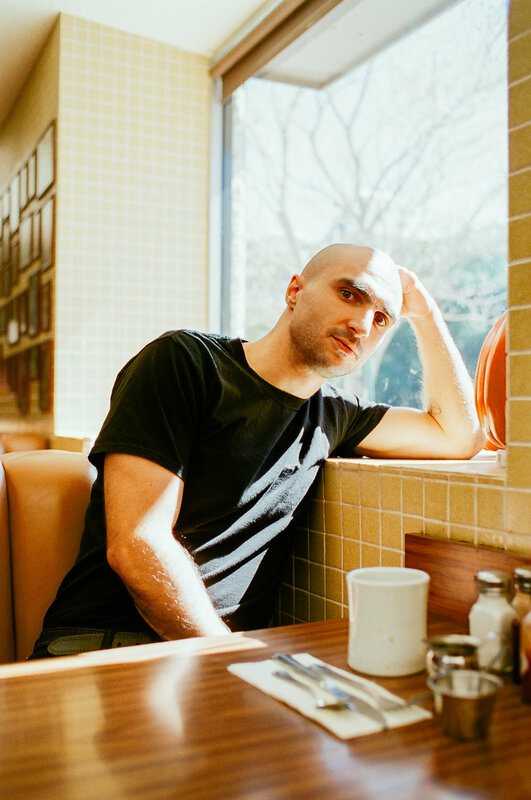 Majical Cloudz may have dissipated in 2016, but its Montreal-based frontman has done more than just survive - On his first proper solo release, Dream Songs, he thrives. As gentle as he is unwaveringly earnest, Welsh’s signature style still remains. Projecting his uniquely evocative voice in a way that matches the intensity of his gaze, he casts sentiments of naked vulnerability over meditative minimalism. Few can land such simple candor with real weight, but on Dream Songs, Welsh has the patience to get it right. Now free from both past partnerships and label obligations, Welsh is feeling freer. We hear the dark, pulsating ebb and flow of synth slowly start to be stripped away by the swirling of strings. Color is introduced, both metaphorically and literally. There is hope. Whether selecting venues of open spaces or just stepping down to the floor, Welsh does not perform on a stage. Just as his lyrics bear the honesty of confessional consciousness, the breaking down of this final barrier makes the pleading in his poetry that much more piercing. Transverso sat down with Welsh before one such live show at Chicago’s Constellation to discuss Dream Songs, and the making of a man ready to love more and fear less. TRANSVERSO: You've just put your first official solo record out into the world and you created your own label to release it. What can you tell us about getting to this point and how it’s gone for you so far? It's kind of been a big growing experience. It felt like I shed a skin at a certain point in my life, and making this album and everything around it was sort of a process of figuring out what music meant to me now, what it's purpose was, how it fit into my world, and how it would all work. There were challenges there and good things, and just getting the album released is a victory in and of itself. It feels really good as a personal landmark in my life. I feel able to be present for reflecting on what people have to say about the music that I'm making, whereas maybe in the past it was not something that I, I don't know… I just have a different relationship with hearing people say, ‘Oh, I like your music, this is why it's valuable to me.’ I think I can appreciate it more. I think I can appreciate most of the parts of making and releasing music more now, and I've sort of figured out a way to not have [the things I didn’t like] involved as much. Self-releasing has been a big part of that, sort of setting the stakes for myself and setting the terms and feeling like when I sell a record I'm handing it to that person. It feels good. You named your new label You Are Accepted, the name itself evoking a sense of comforting freedom. It sounds like setting out on your own has been very fulfilling thus far – Would you consider expanding to releasing other artist’s work in the future, or is part of why it's special that it's so personal to you? I can't say what will happen in the future, but right now it seems like my understanding of the identity of it is I'll put my own stuff out or something that I'm involved in. I have this other project that I just make for fun with my friend Matthew Duffy called Belave, and maybe the next time we make something I could see how he feels about it. I’ve been talking with Nick [Schofield], who's playing in my band tonight, about making a spoken word / ambient album together, and maybe we would release it under that label as well. But I'm not sure, I'm just kind of taking it one step at a time. One immediate signifier of this shift in your career is Dream Songs’ album art. Majical Cloudz’ records traditionally had starkly minimalist, colorless covers, and a lot of your portraits can seem intensely serious. Now we’re greeted by a candid shot of you, wearing red and smiling. Having read that you even refused Matador Records’ push to put you on the front of Are You Alone?, I’m curious what’s behind the way you choose to represent your music visually. It’s just a different attitude about what the music is. The music has a different purpose. 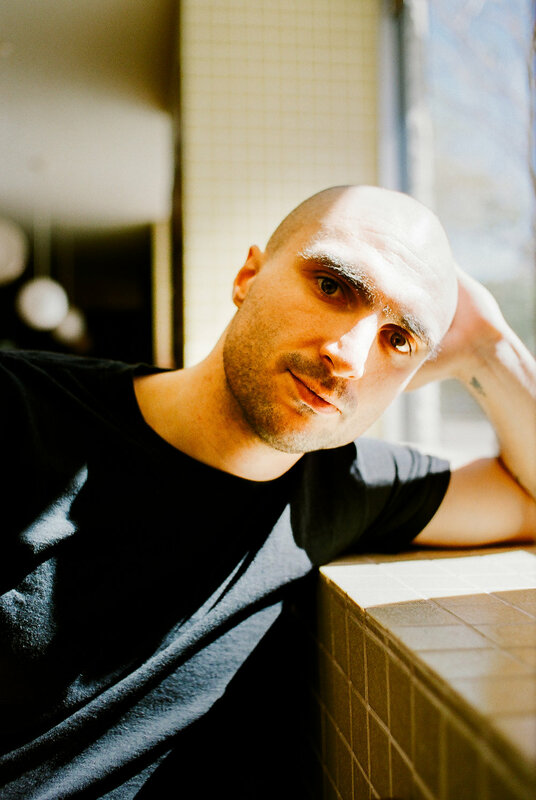 With Majical Cloudz there was a defined aesthetic that I thought was important to what the project was for me. It was not having me on the cover. Me and Matt [Otto] were both in the band – I didn't want just myself to be on the cover, and I didn't think it made sense for us to be on the cover, either. For whatever idiosyncratic reason I just felt that the identity of that project [called for] a text-based, textural thing be on the cover, and that there not be a lot of real color associated with it. Just black and white. I felt strongly that that was the association with that music. It was addressing painful things and subjects that were intense, and there was a sort of rawness to what I thought the identity of that project was. From the beginning it was kind of confrontational – my desire was to play shows and to really look people in the eye, and really give them this music that was about parts of my interior life and memories. I felt that that aesthetic and set of intentions couldn’t fit making [Dream Songs]. It was about something totally different – I was writing it wanting there to be positivity and love and openness in my life, and I think the songs kind of reflect that. When someone picks up the album or listens to it or engages with the project, I want that feeling to be communicated. It should be freeing and positive. I don't want to send someone on a heavy trip like, ‘Oh, this is scary.’ I wanted [them to] pick up the record [and think] ‘Oh, it looks nice, it looks comforting. It feels inviting, it feels positive. I feel heard by this music or understood by this music.’ I wanted it to be lighter, and so I felt that that image kind of reflects that. I think it reflects where I was at when I was making the music, what I wanted my life to be like. In between your old band and this first official solo album you released a collection of songs called Down the Mountain and a single, ‘Go Go.’ Both had space-related imagery, and you tweeted around that time, “I hope I'm alive to see close-up images of other habitable planets, or even any planets outside our solar system...” I thought that was interesting, especially because your music so beautifully balances being grounded but also ethereal at the same time. What about space attracts you? [Laughs] Well, the Earthrise photo, you know that first picture where it's over the crest of the moon, but we see Earth, and it's really far away, this little tiny dot? That's just incredible. Anytime you can think about that it really takes a load off of our existence here on Earth and what it means, and it really puts it in a certain perspective. Astronauts talk about this – they go back to Earth and they have this realization, like wow, we're all connected. We really need to be thinking about things in a way where we're all part of the same project. We're on Spaceship Earth,' and we really are just this fragile little thing in the middle of this incredibly vast, mysterious universe that we really don't know anything about, we haven't explored it. It's just this endless source of sublimity and beauty. So I think I'm just interested in space for those reasons. It's really inspiring, it's beautiful, it's a broader context for understanding life that puts the emphasis on embracing the mystery of existence, which I think is just so quickly tangible. As soon as you think about space or you reflect on space at all you realize how mysterious everything of existence really is, and how important love is and embodying as much of a zoomed-out perspective on what we're doing here, what our purpose on this planet is. It renders any problems to seem utterly immaterial in comparison to the fact that we're on this spinning rock. Maybe next time someone launches a car into space they should play your music instead. 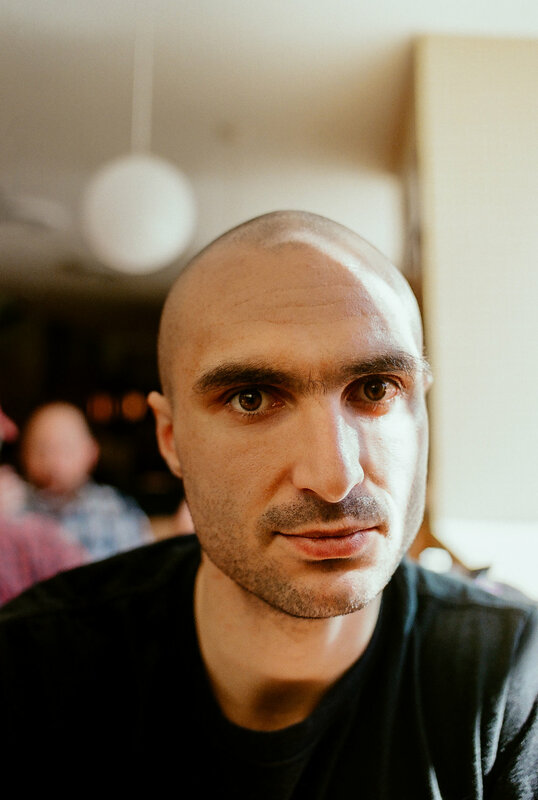 Another big shift evident in Dream Songs is a move away from the synthetic sounds of Majical Cloudz to more organic instrumentation, like string arrangements. What can you tell us about that? Majical Cloudz, again, had a very defined aesthetic. It was something that I was interested in maintaining – we found this thing, this is how the project works, and I really like that aesthetic. But then, making music on under my own name for the first time, I had the feeling, ‘Oh, I can do whatever I want.’ This is what I wanted. I wanted to feel a bit freed from the confines of Majical Cloudz as a project. I didn't really want to just make a record that was repeating the choices of the Majical Cloudz records because it just seemed boring to me. Also, I was writing songs on guitar more, just because I could. So rather than transcribe them and turn them into something else I just went with that, and built the songs around guitar. I'm working with Austin Tufts, and he’s a classically trained musician. I had the idea of wanting strings – I had for a long time wanted to have strings on a recording – and then he was able to get it done in a legitimate way. So yeah, why not? Let's try it. In Majical Cloudz you were the vocalist/frontman in a duo, and in Belave you hold the opposite role in a different duo. Of course this solo record is still collaborative, but now you alone have complete control. Did that change in dynamic alter your process at all? Well the first Majical Cloudz record was really me having control over that process. It was like, this is my idea and this is what I want to do. 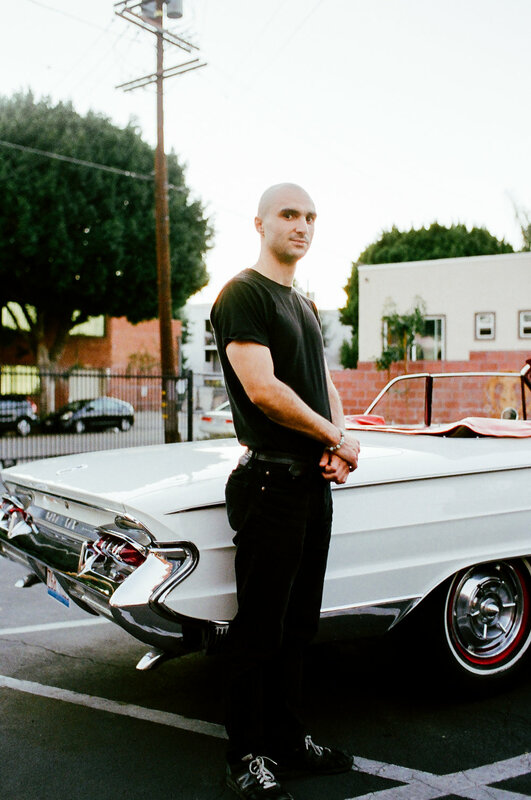 It wasn't as much of a collaboration as the Majical Cloudz records where Matt was bringing his energy to it and to the production sides of things. For example, some of the stuff on Impersonator uses the Logic preset synths that were in the demos of the tracks. We did a lot to transform them, but it's not the same as a collaboration like Belave, where I’ll make a thing, and then Duffy will just do whatever he's going to do, and then that's that. So it's like a 50/50 process. With some of the Majical Cloudz stuff it was sort of like, here's the demo, here's the ideas, this is what I want to do with it. It felt similar to making Dream Songs, where I have the songs, I know what I want to do, but it's not 100 percent of the vision, and I'm working with somebody who's producing it. We can bounce ideas off each other and come to something that sounds good. Lyrically, throughout your whole discography, I've noticed there's a reoccurrence of clown and comedian characters, and laughter being used in various contexts from performing to dying. Your music can be more on the serious side at times, so I’m intrigued by this apparent relationship between severity and levity, the musician and the jester. Yeah, I think I can have a dark of humor. Also I think that it's important to laugh in the painful moments of life, and also just to laugh about as much as you can in life. I think it's a very healing, very important thing to do. I love comedy, and I love comedians and clowns. To me it's a symbol that I think represents something about life. The tragedy of life is not feasible without laughter, and it’s a way of overcoming anything. I think a clown is this figure that is kind of tragic, because they're the object of ridicule. People don't take them seriously, but also they bring people joy and, I don't know, something about that has always repeated to me. Something about a sad clown is a very potent image for me. One of the most stunning aspects of your music is the honest vulnerability that you convey. The first single and the album as a whole open up with the line, ‘Things more powerful than you control the actions in your life.’ And, in announcing the record, you said you want to ‘love more,’ ‘surrender more,’ and fear less. Are there any particular things that you feel controlled by, or that you fear? It’s more the idea that there are things in life that are out of your control. That’s a lesson that I have been slow to learn, or slow to accept. Someone that struggles with anxiety probably struggles with that piece of wisdom, which is like, ‘Hey, you can't control everything that happens in life, and you kind of need to just let it go.’ I guess that's sort of part of what that lyric means for me. In terms of what I fear, it's about like fearing rejection from people, fearing that somebody doesn't like you, or you're not good enough, or you're going to fail, you're not going to be able to do it right. Those are the things that I fear. I don't fear monsters or other people or whatever. It's more just a fear of letting people down, letting yourself down, of what's going to happen, being unconfident moving through situations in life. That's what I meant when I said that I want to fear less. And also just fear in terms of the opposite of love, I guess. You want to connect with people and you want to open yourself to people. You want to just live as much as possible in a space of being open, of being loving to people, of being kind. When you have something nice to say, communicate it. When you have love to give, give it. I think being afraid gets in the way of that. The fear of, ‘Oh, I don't know, I shouldn't. I feel self-conscious, I feel insecure.’ The fear makes you disconnected from other people.